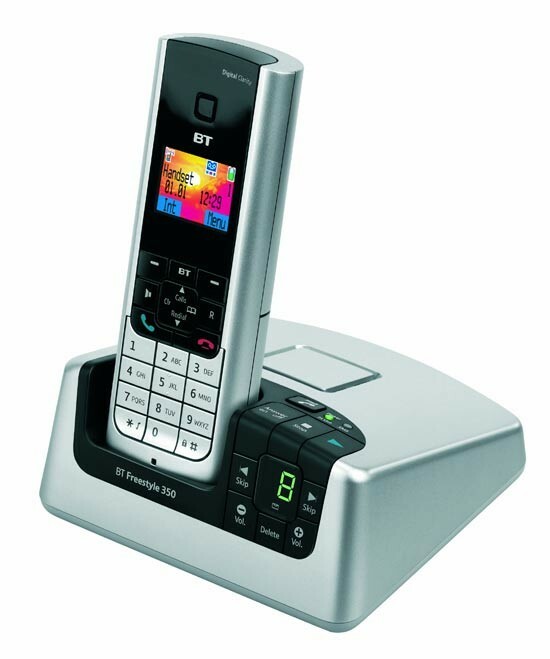 The BT Freestyle 350 has an answering machine with up to 15 minutes recording time and a choice of outgoing messages. It has a full colour LCD and features CallMe one touch dialling. The 350 keeps callers in control through SMS text messaging and a name and number directory for up to 100 contacts. There is Type 2 Caller ID with a 30 number call list and a hands free speakerphone. Thanks to a clock, date, and call timer, calls can be easily managed and there is an intercom between two handsets, as well s a keypad lock, polyphonic ring tones and handy belt clip.